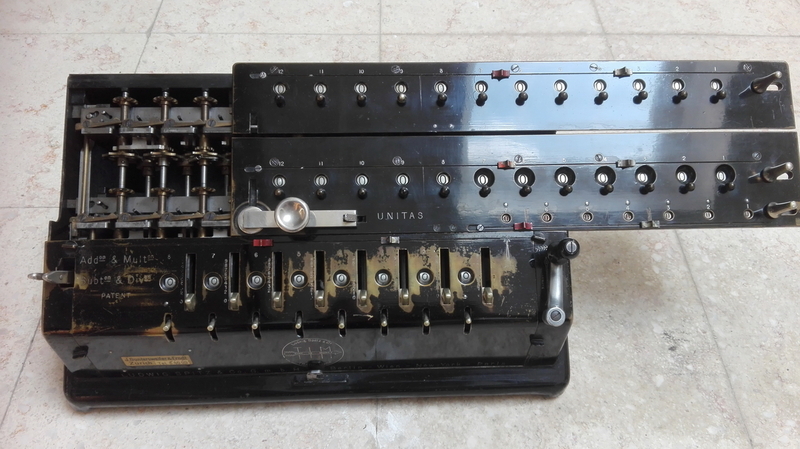 Much less common than the equivalent keyboard machine, this is a slider Unitas. 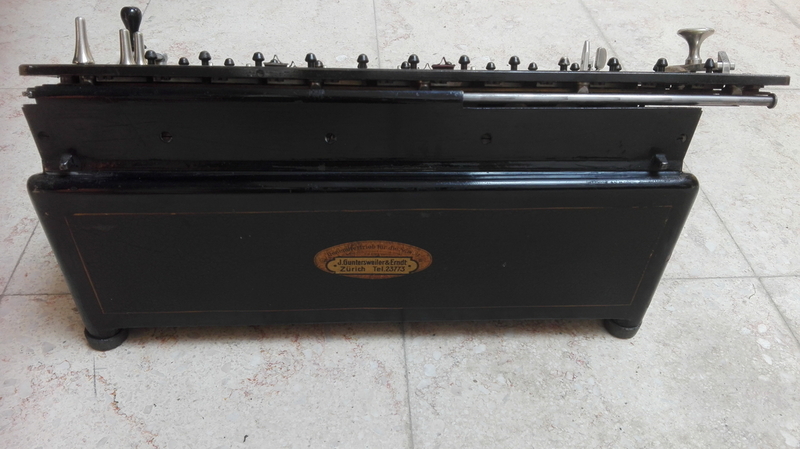 I bought it at a Breker auction together with a keyboard TIM, which will be resold. 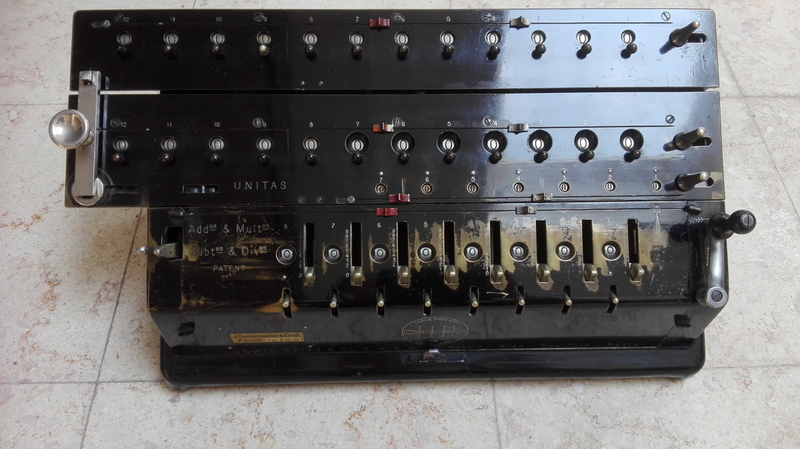 The serial number is 06887 - that makes it very late for still having sliders and the old type non-removable crank. 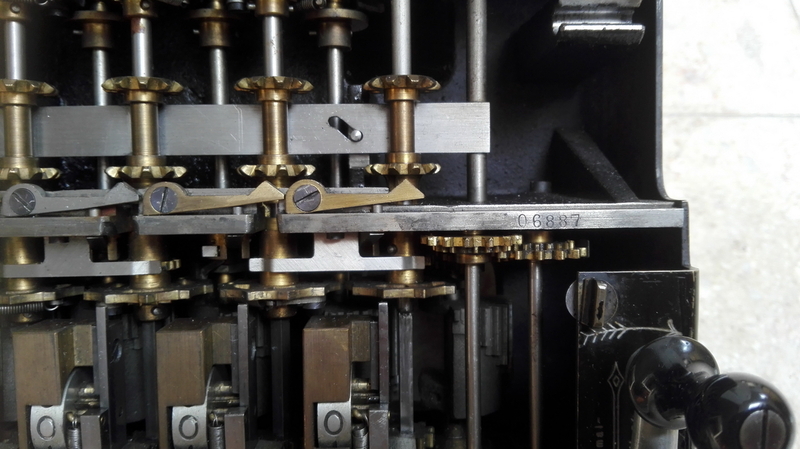 You can clearly see that Ludwig Spitz was very proud of the intricate machinery inside, because he made the carriages removable at the flick of a switch, and the front cover can also be taken off by twisting the four locking devices to the open position. 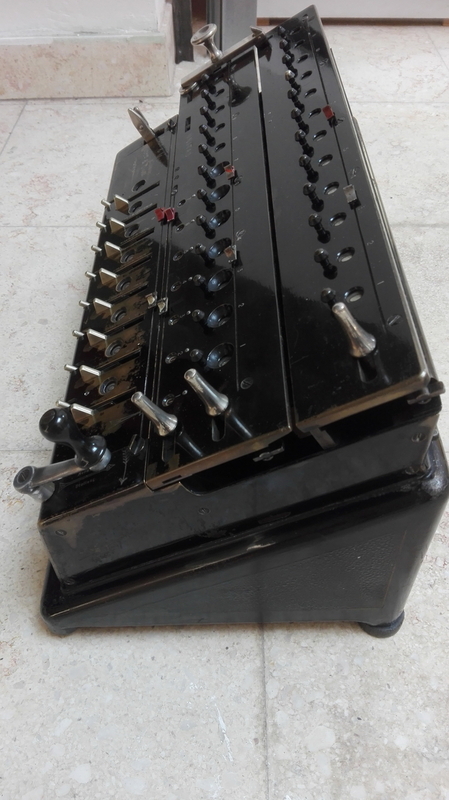 The machine came from a Swiss collection, and was originally sold and maintained in Zürich, by Güntersweiler & Erndt, who made absolutely sure that everyone would know about it, either when standing at the front, or at the rear of the machine. 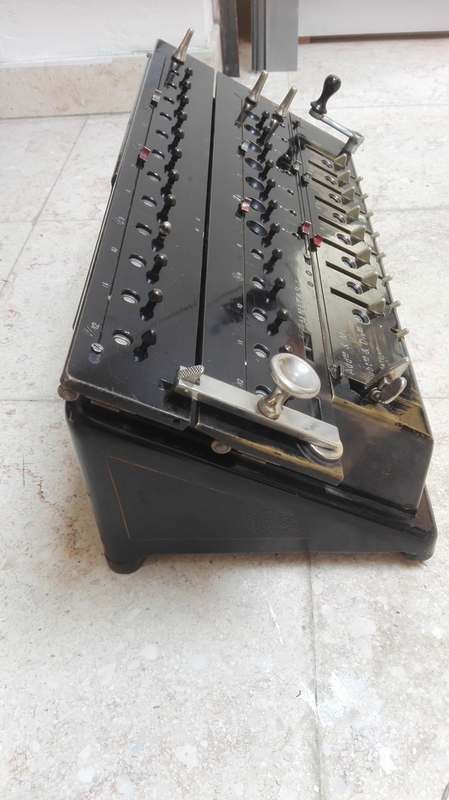 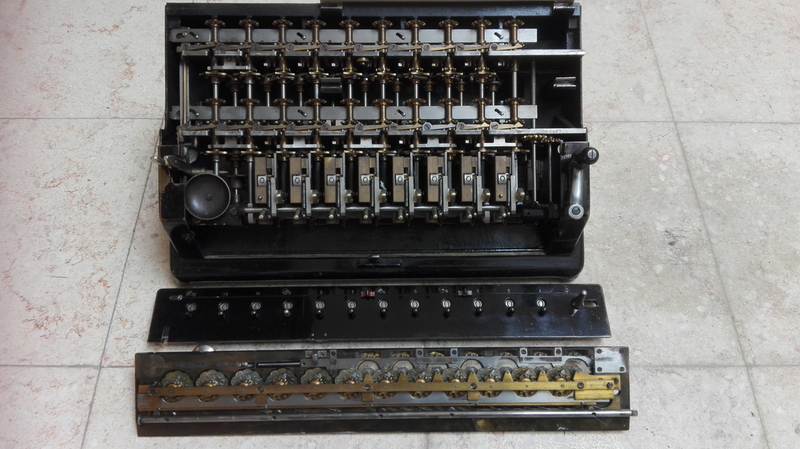 It is in very nice original condition, and has all its coloured decimal point sliders.